LiveDevelop is a proven, global Internet consulting and development agency helping clients to create and implement full-service digital business solutions. 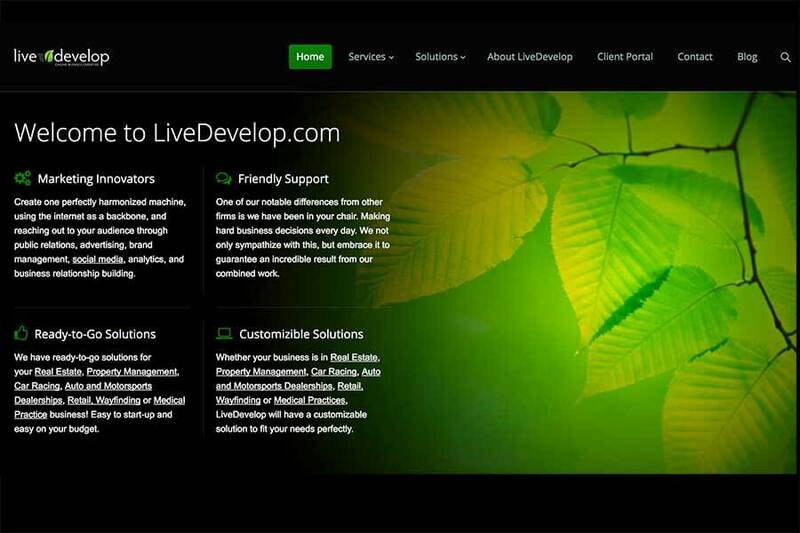 Combining diverse expertise in business strategy, technology, usability and design, LiveDevelop produces highly effective business solutions and online user experiences. LiveDevelop has provided custom solutions for a diverse array of industries; architectural, engineering, financial, insurance, publication, advertising, marketing, advertising, automotive, retail, sporting goods, non-profit, telecommunications, and medical, among others.